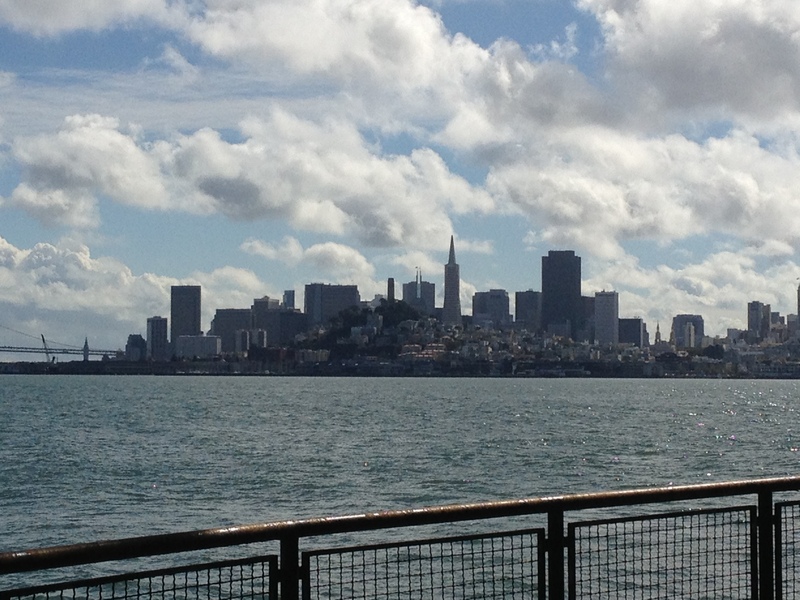 We were booked in for an Alcatraz trip, so we got up, walked down to Market Street and jumped on a cable car down to Pier 33. We were just in time to jump on the boat, and before we knew it, we were there! 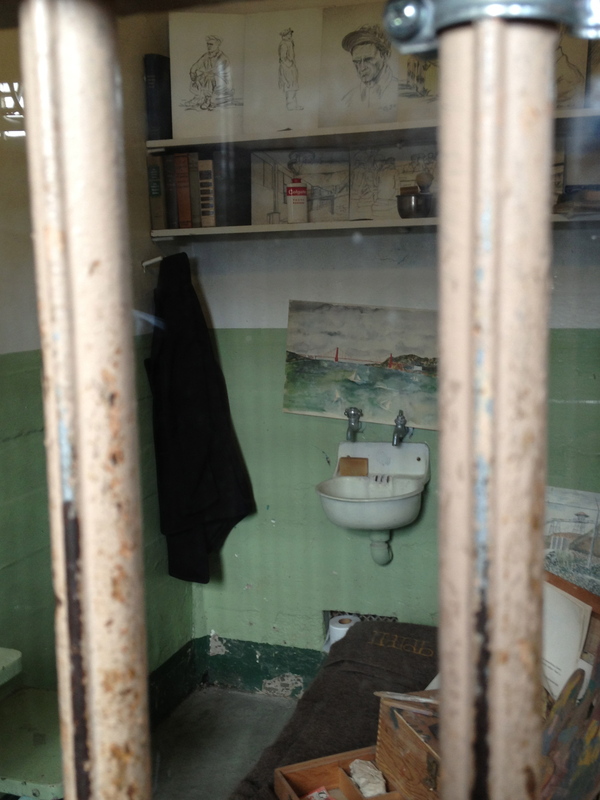 There is so much history to Alcatraz, so we started off on the landscaped garden trail, looking out at the lovely views of San Francisco and the bridges, as well as the gardens on Alcatraz, planted by the guards and their families and tended by the inmates. 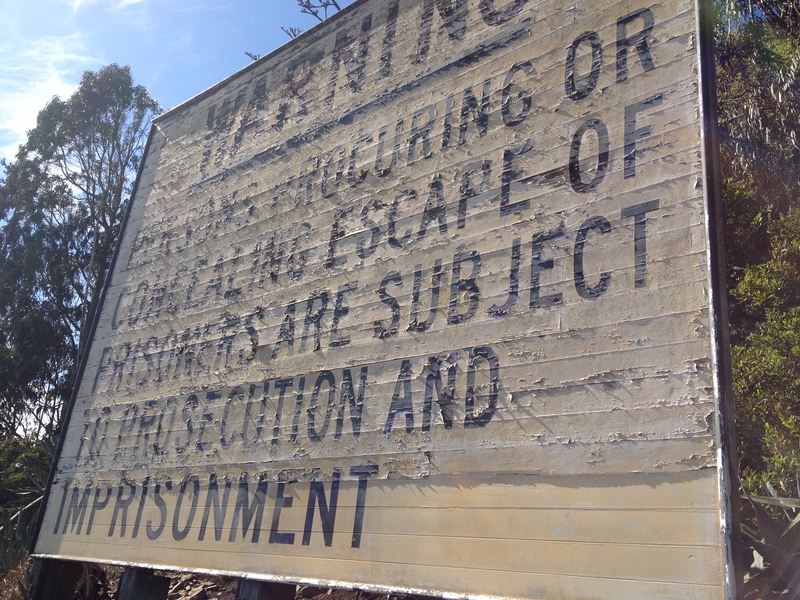 We reached the Parade Ground, where we could see the ruins of the guards apartments, then wandered down to the prison. 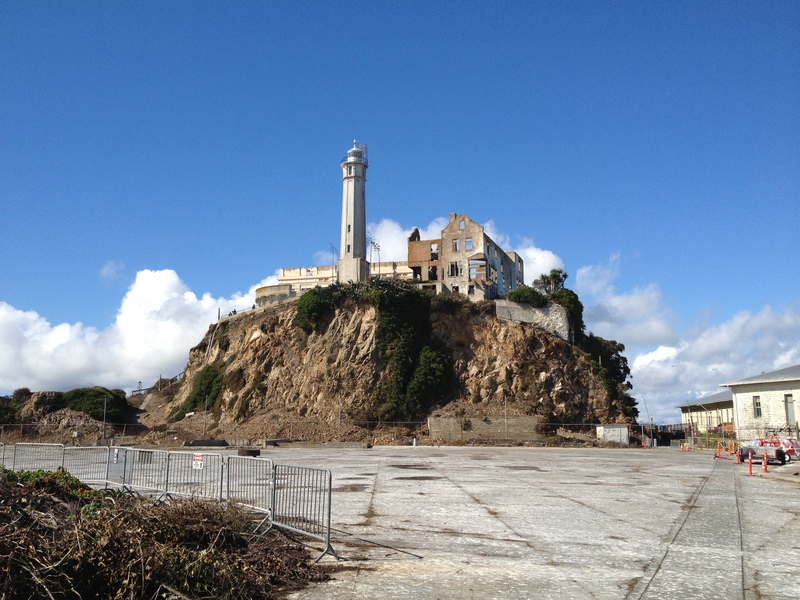 We watched a brief Discovery Channel film on the history, not just the prison, and the riots and escape attempts, but also what happened to Alcatraz after it was closed in 1963. 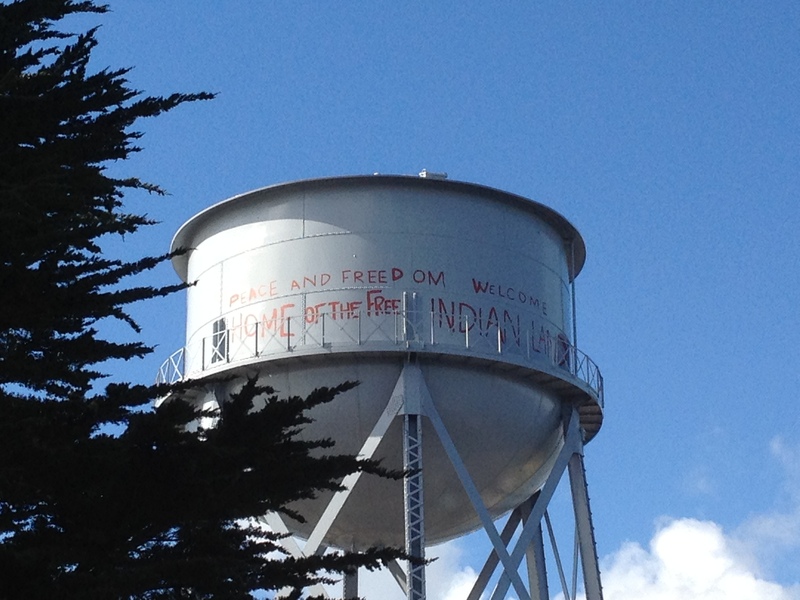 The Native Americans occupied it as a protest in the late 60s – early 70s, and it became a protest to rase awareness of their plight. 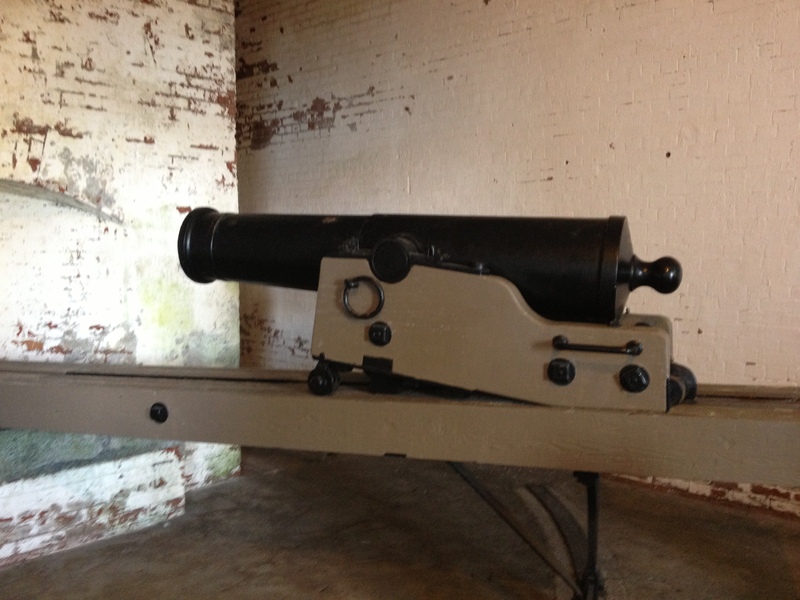 Before it was prison, the island was a military fortress during the American Civil War, until 1907 when it officially became a military prison. 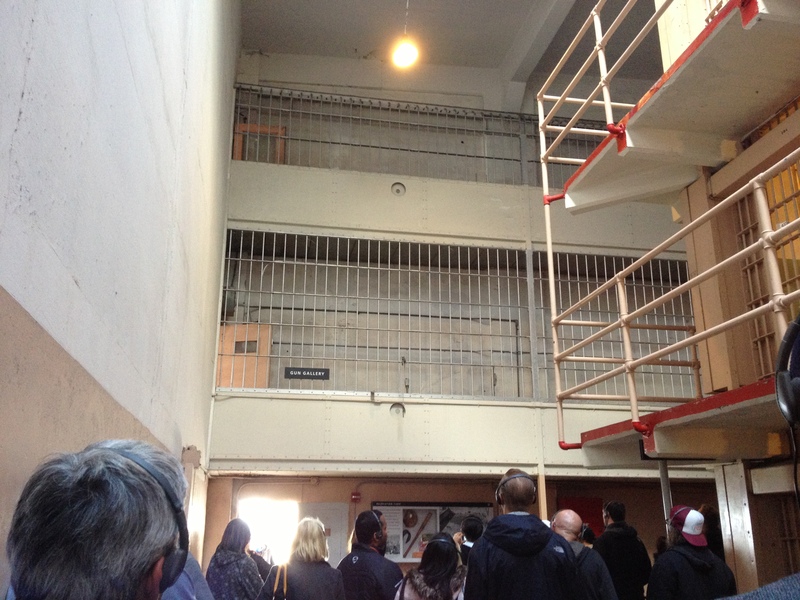 We then went up to the cells and did the audio tour, which showed us around the cells, library, dining hall and administrative offices, told how life was inside the prison for the inmates, and also told the stories of the riot – the Battle of Alcatraz in 1946 when 5 inmates escaped using a bar spreader, and took the guards hostage before killing 2 of them, and the escape of Clarence Anglin, John Anglin and Frank Morris in 1962, when they burrowed out of their cells and escaped on a boat made of a raincoat. 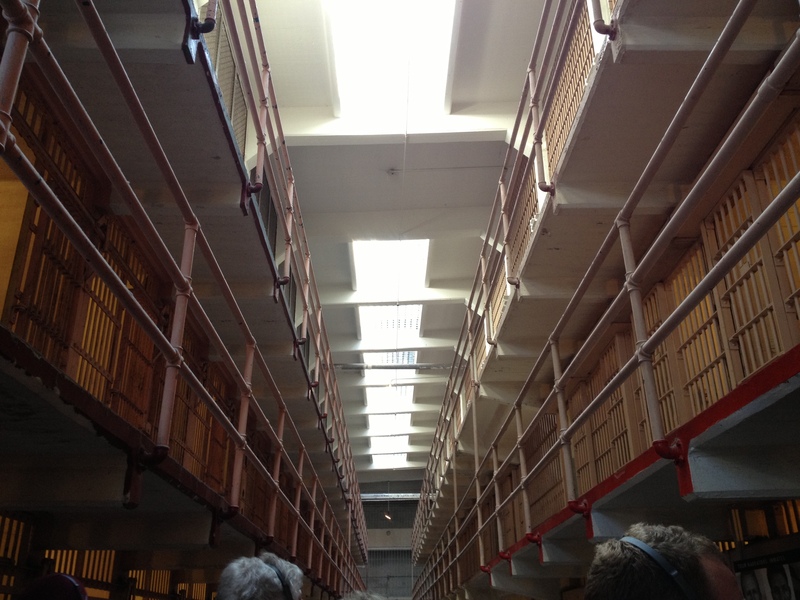 One of the best audio tours we have had (and we have had a few now!) 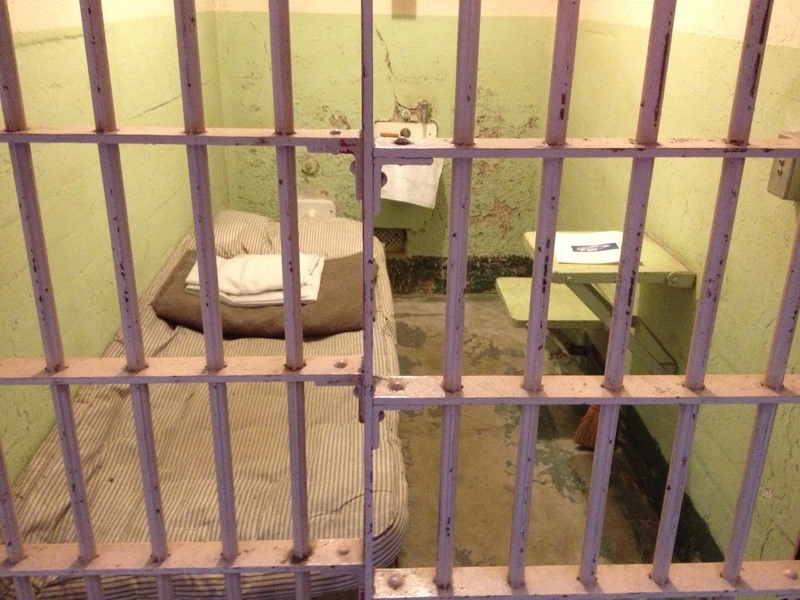 – it really was interesting listening to the stories from former inmates and prison guards of life inside Alcatraz, not just as a prisoner, but also as a job, and having your family live there too. Apparently it was quite a nice place to live as a child, and looking around at the gardens you can almost see why. 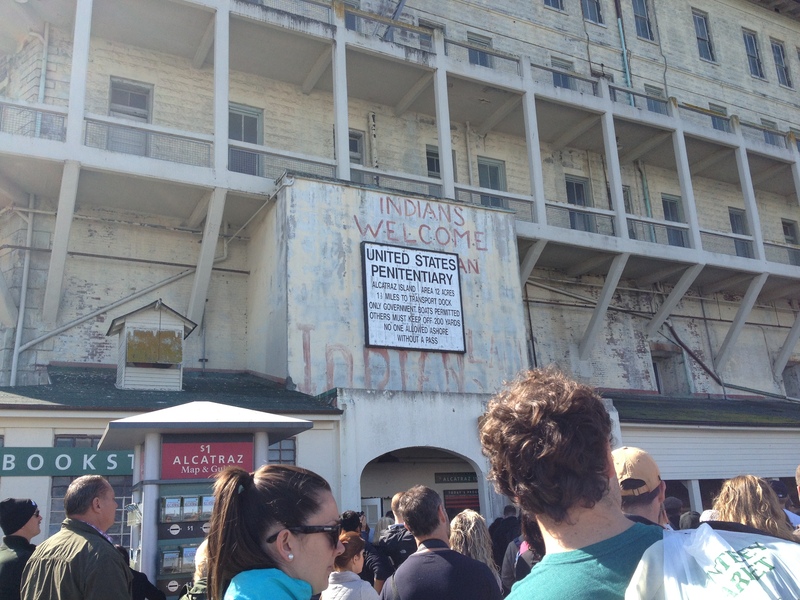 It was also very thought provoking, not just the prison side of it’s history, but also the occupation by the Indians, what they went through before the American government changed the laws, how they were being forced to lose their identity and culture. 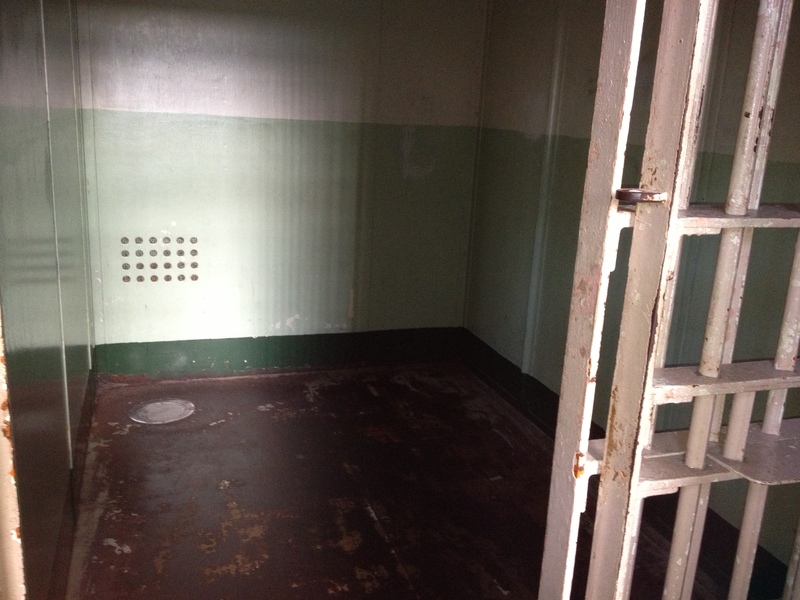 I am really glad we went to Alcatraz, it’s much more than just a prison. 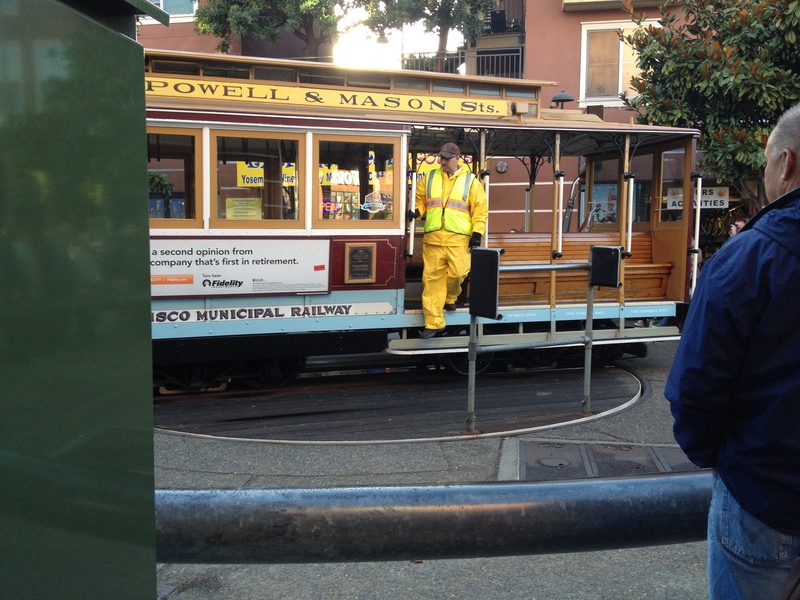 We jumped on the boat back and headed back to the mainland, and grabbed a coffee whilst watching the cable car turnaround. 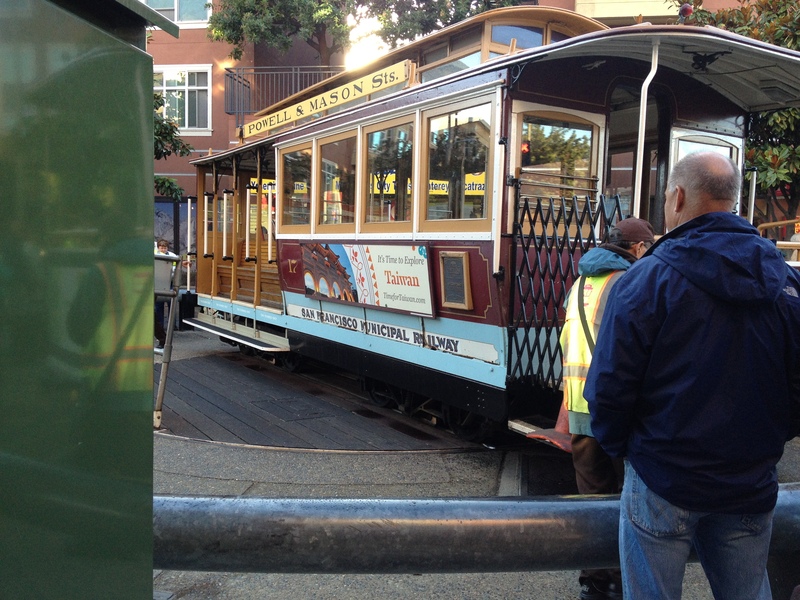 Then we jumped on a cable car back to the motel. 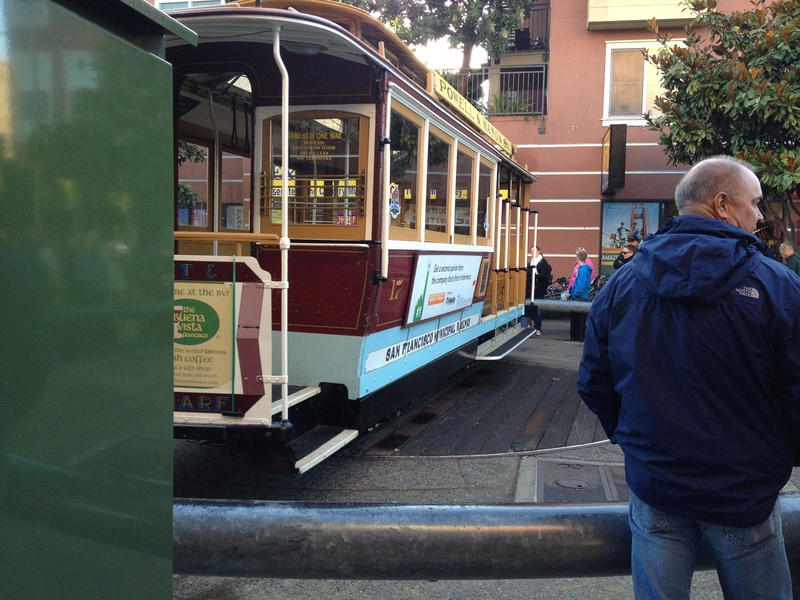 I still find it amazing that they still have these cable cars, they are quite slow, and temperamental… ours broke down on the way down to the pier… but still an experience, all the same! 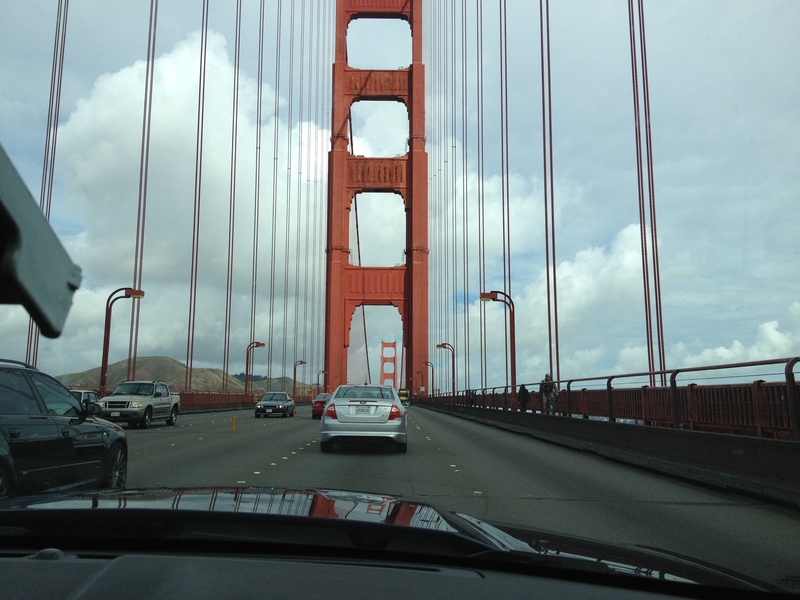 Tuesday morning, we packed up our bags and headed out of San Francisco. Before we left I got one more picture of the hills. It’s incredible that a city this size has been built on such hills! It’s like Brixham! 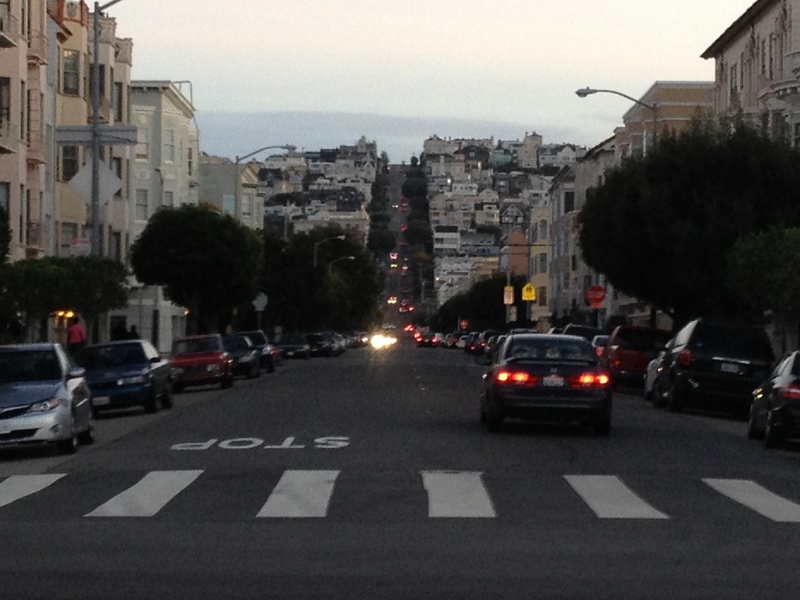 San Francisco is the hilliest city in the world with over 40 hills. And some of them are pretty steep too! 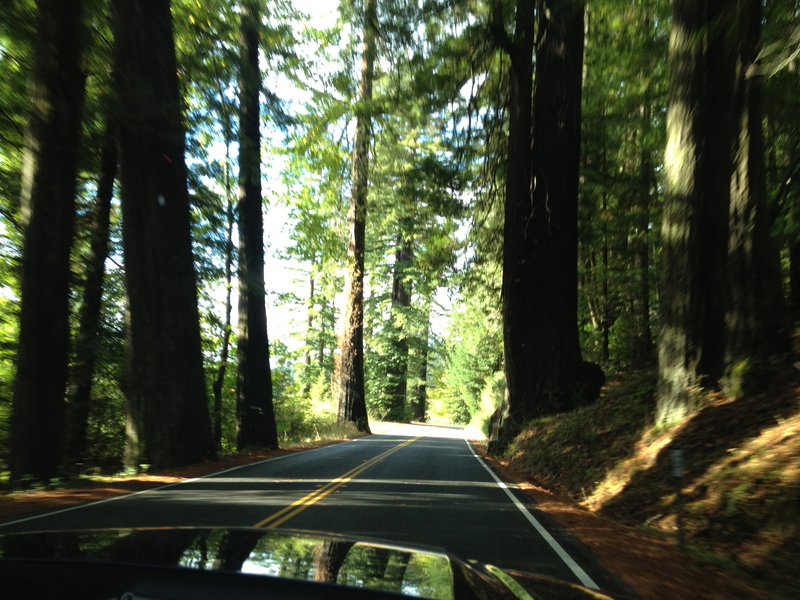 Over the Golden Gate bridge, we headed north to the redwoods. 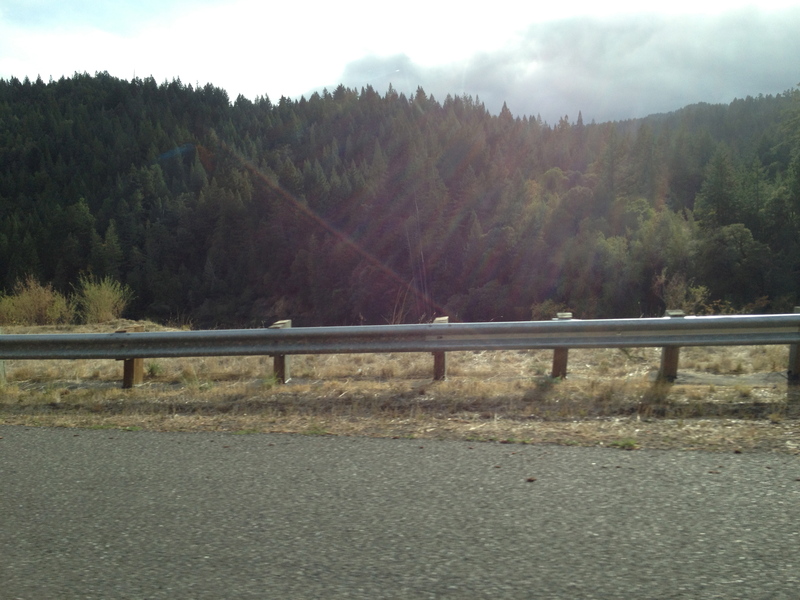 …and even a nice bit of lens flare! 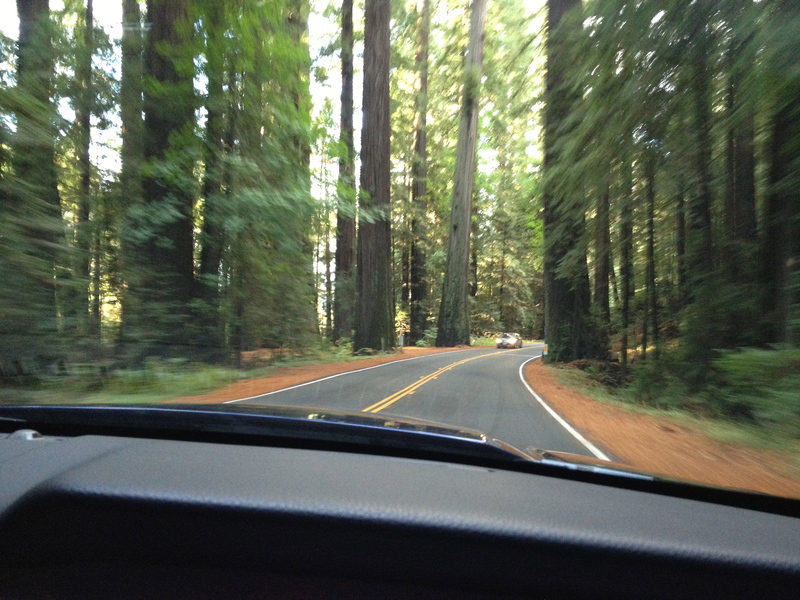 We drove quite far north until we entered the Avenue of the Giants… huge redwood trees, wide and tall, and very beautiful! 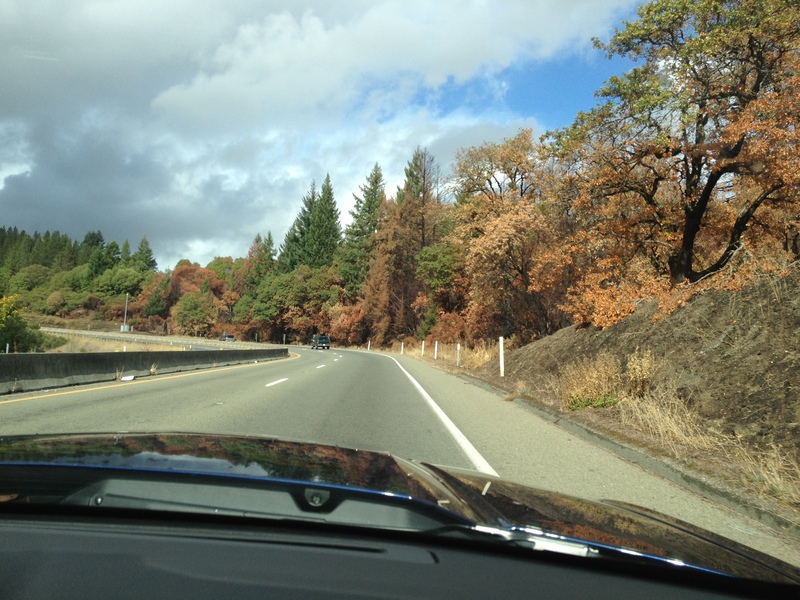 We were on the hunt for a camping ground, but most had closed for the season, which worried us that perhaps the weather was not right for camping. 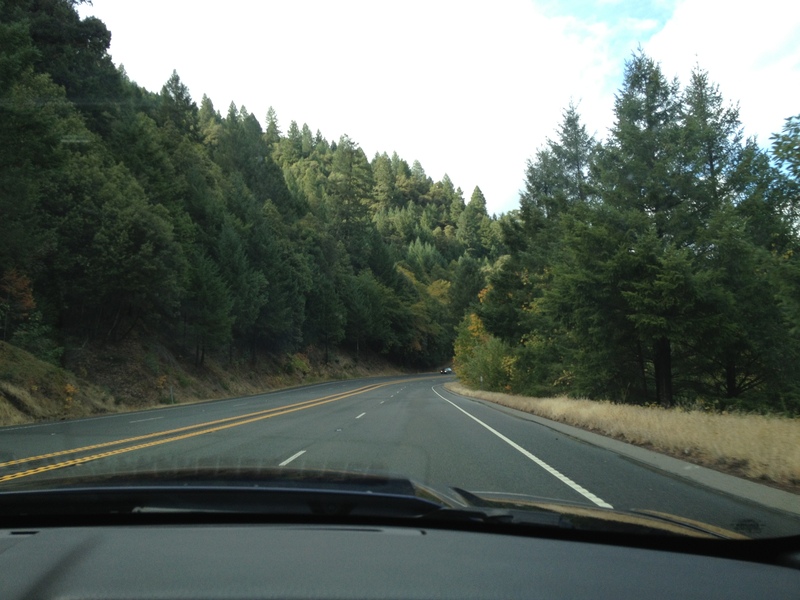 However, we persevered and found a campsite a few miles along the avenue. 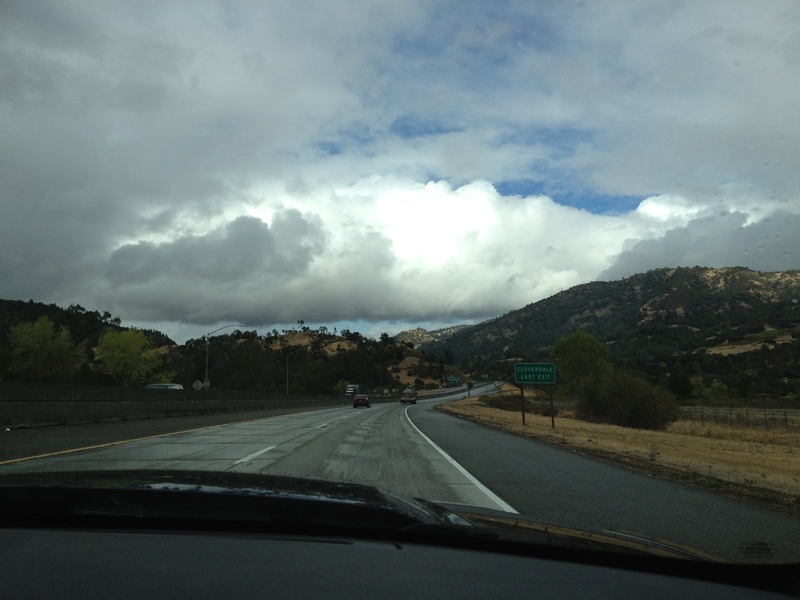 The lady who runs the site warned us of the rain, but we gave it a go… for about 3 hours. I pitched the tent, I cooked some food, we ate it in the tent to get out of the rain, we lit the fire, we sat in the tent for a bit, then we realised that the seams of the tent were leaking.